Apple announced today that it signed an agreement to acquire the digital magazine service Texture, which serves articles from more than 200 magazines digitally on iOS, Windows, Amazon, and Android devices for a flat monthly fee. Apple has acquired the entire company, including staff, and has assured users that the Android version of the app will still be supported. The price of the acquisition was not disclosed. Texture was founded in 2010 and was formerly called Next Issue until it rebranded in 2015. It was chiefly founded and owned by a group of major magazine publishers, but it also raised $50 million from other investors. It launched during a time when the magazine industry harbored some optimism that the iPad and other tablets would be popular platforms for premium subscriptions as an alternative to the Web, which was dominated by tech companies like Google. As digital magazines like News Corporation's The Daily folded, it became clear that future wasn't panning out. Nevertheless, a 2016 report from The New York Postquoted Texture CEO John Loughlin saying that the service had "hundreds of thousands" of subscribers at that time. Apple has made a few similar acquisitions in the past. It acquired Beats in 2014, which included not only the company's hardware but its streaming music service, which ultimately led to Apple Music. Also in 2014, Apple acquired BookLamp, a service that distributed books in much the same way that Texture distributes magazines. In this case, though, we don't know what Apple has planned for Texture in the future. 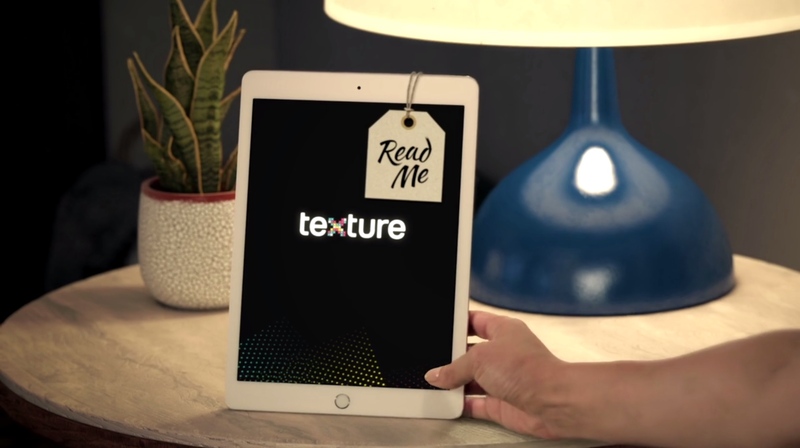 We're excited Texture will join Apple, along with an impressive catalog of magazines from many of the world's leading publishers. We are committed to quality journalism from trusted sources and allowing magazines to keep producing beautifully designed and engaging stories for users. I'm thrilled that Next Issue Media and its award-winning Texture app are being acquired by Apple. The Texture team and its current owners, Condé Nast, Hearst, Meredith, Rogers Media, and KKR, could not be more pleased or excited with this development. We could not imagine a better home or future for the service. Apple already sells digital magazine issues and subscriptions through its online services, and Amazon and Google each offer digital newsstands for magazines, too. Even Facebook has tested digital news subscriptions. Neither of the executive quotes included with Apple's announcement gives any conclusive hints as to what Apple plans to do with the service after the acquisition. Cue's choice of words in "trusted sources" may be relevant, though, as the acquisition comes at a time when journalists and publishers have been vocal with criticism of other tech companies that have played a part in distributing or curating the written word, like Google and Facebook, and public concern has focused on the distribution of untrustworthy content on those companies' platforms. Disclaimer: Ars Technica is owned by Condé Nast, which was a partial owner of Texture prior to the acquisition.